This story is brought to you by Farm to City, bringing farmer’s markets to Philadelphia since 1996. When retired teacher Lynn Robinson learned a natural gas plant was coming to her neighborhood in Germantown, she felt a resounding “No!” jolt through her body. In November 2015, The Philadelphia Inquirer reported that a development project to renovate the Wayne Junction train station—which borders Nicetown and Germantown—was underway, after receiving a $3.98 million grant from the Federal Transit Administration in spring 2011. (The publication also mentioned a refurbished Wayne Junction was on the table as early as June 2011.) The $30 million project originally focused on operational makeovers—including installing new elevators to meet requirements for the Americans with Disabilities Act, building a new high-level platform and more—but there was no mention of constructing a gas plant. By the time Mitch Chanin, a volunteer with environmental organization 350 Philadelphia, got involved with the resistance against the plant—particularly through the organization’s Fossil Free SEPTA campaign in 2016—contractors had already been selected, and a proposal for a gas plant had been accepted. “We have brought to light that there appears to have been some pressure on SEPTA from at least one very powerful state legislator who had close ties to the gas industry back in 2012,” Chanin explained in a phone interview with Grid. Robinson also cited criticism voiced by state Rep. Stan Saylor, who served as the majority whip at the time. 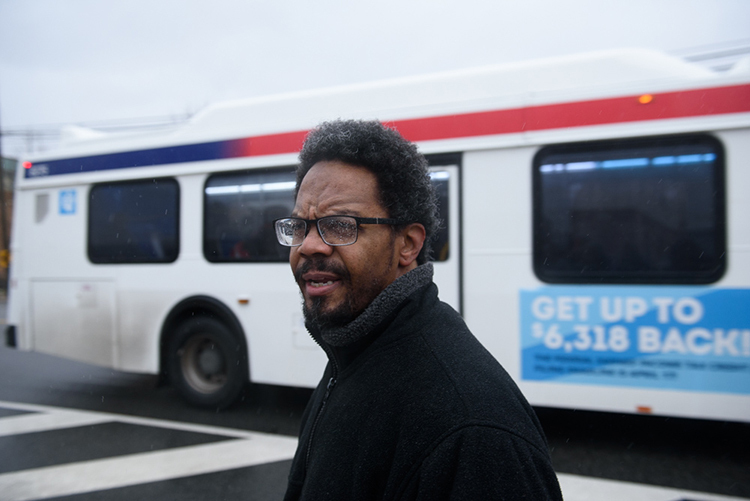 In 2012, he chastised SEPTA’s decision to continue investing in diesel-electric hybrid buses instead of vehicles fueled with compressed natural gas and went so far as to threaten the transportation service’s funding, the Inquirer reported. SEPTA offered to use natural gas to fuel its rail system, but not buses. However, on Jan. 23, SEPTA announced an off-site “renewable energy expression of interest form,” which renewable energy suppliers can file by March 13. The Nicetown neighborhood is predominantly a community of color. According to 2010 Census data, 85.5 percent of neighborhood residents are African-American. Comparatively, only 2 percent are white. According to the United States Department of Health and Human Services Office of Minority Health, African-Americans are almost three times more likely to die from asthma than white Americans. Children living in the 19140 Zip code have some of the highest rates of asthma hospitalization in the city, according to 2012–2014 data collected by the city through the Pennsylvania Health Care Cost Containment Council. Nicetown resident Eric Marsh Sr. recalls a vastly different landscape than today. Marsh didn’t grow up in the neighborhood, but often visited his great aunt’s home on the 3800 block of North 16th Street. Two years ago, he moved into that house with his wife and three children. It wasn’t long after the move that his daughter, Amaya, was diagnosed with asthma. Marsh knows this isn’t attributable to having lived in the Nicetown for such a short time, but he’s concerned about what the addition of a gas plant will mean going forward. “They’re making a sick population sicker,” said Marsh. department reject SEPTA’s permit. However, Robinson wants more support from her elected officials against the project. Since hearing the news through a Food and Water Watch campaign, Robinson stepped up as director of Neighbors Against the Gas Plants, an organization formed in October in response to the proposed gas plant. Along with 130 signatories of Germantown and Nicetown residents, as well as parents of students attending schools in the plant’s affected Zip codes, she submitted an appeal to the city. Volunteers with 350 Philadelphia spearheaded their own citizen research, including a financial analysis of the project as well as a critique of its climate impact. The organization said inequalities aren’t being addressed in the city’s commissioned research—particularly through the EPA’s Combined Heat and Power Energy Emissions and Savings Calculator, which was utilized by SEPTA to calculate and compare the estimated fuel consumption and air pollutant emissions from its transit. Both 350 Philadelphia and Neighbors Against the Gas Plants have submitted appeals to Air Management Service’s permit issue of the Midvale Complex. However, those appeals can always be appealed by prospective government agencies, such as Air Management Services. The neighborhood is home to 15 schools, including Thomas Jefferson University and Drexel University College of Medicine. Marsh’s daughter, Amaya, now 8, and youngest son, Aaron, 7, attend Edward T. Steel Elementary School, which is only slightly more than a quarter mile from the proposed gas plant.